A troubled young woman falls for an enigmatic man suspected of committing a series of murders. 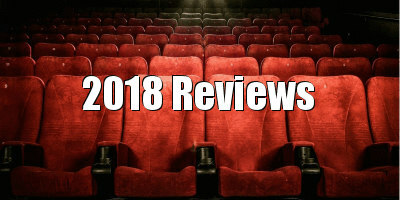 In the late 1960s and early '70s a new wave of dark thrillers began to emerge from British cinema, combining kitchen sink realism and social commentary with suspense and tension. A common theme was that of an awkward young woman falling for a handsome, enigmatic man who may or may not be a murderer (see Rita Tushingham in Straight on Till Morning and Jenny Agutter in I Start Counting), often amid a backdrop of sustained violence against women. Such movies can be viewed as either a conservative backlash against the 'free love' era of the swinging sixties or a reaction to the misogyny of the times, tie-dyed t-shirts beginning to fade as hash leaf posters slide off walls in grotty bedsits and council flats. Writer/director Michael Pearce's debut feature, Beast, harkens back to those gritty, very British thrillers. The awkward young woman of his story is Moll (Jessie Buckley), a 27-year-old tour guide who lives at home with her domineering mother, Hilary (Geraldine James), and senile father on the Channel Island of Jersey. The shy Moll is the black sheep of her family, home-schooled after stabbing a classmate with a pair of scissors at the age of 13, and even her own birthday party is stolen when her pretty sister (Shannon Tarbet) announces she's pregnant with twins. Moll storms off to the nearest nightclub, gets wasted and ends up fending off the advances of a drunken git. She's rescued by rifle wielding Pascal (Johnny Flynn), a rugged sort who lives off the land and doesn't care too much for personal hygiene, but the latter trait doesn't stop Moll from falling head over heels for him. None too happy with Moll and Pascal's budding romance is the snobbish Hilary, who doesn't approve of the latter's earthy ways, and local cop Clifford (Trystan Gavelle), who carries an unrequited torch for Moll and considers Pascal a prime suspect in the series of murders of young girls that has plagued the island community in recent years. The thriller having fallen out of favour in recent decades, Beast is the sort of movie we rarely see in today's English language cinema. It has more in common with contemporary Scandinavian 'Nordic Noir' and Korean pot-boilers than with its modern British peers, but it's a reminder that this is a genre the Brits do best, Pearce recalling Hitchcock's early Hollywood period with a heroine that might have been played by Joan Fontaine and a dangerous but attractive suitor straight out of Bronte. 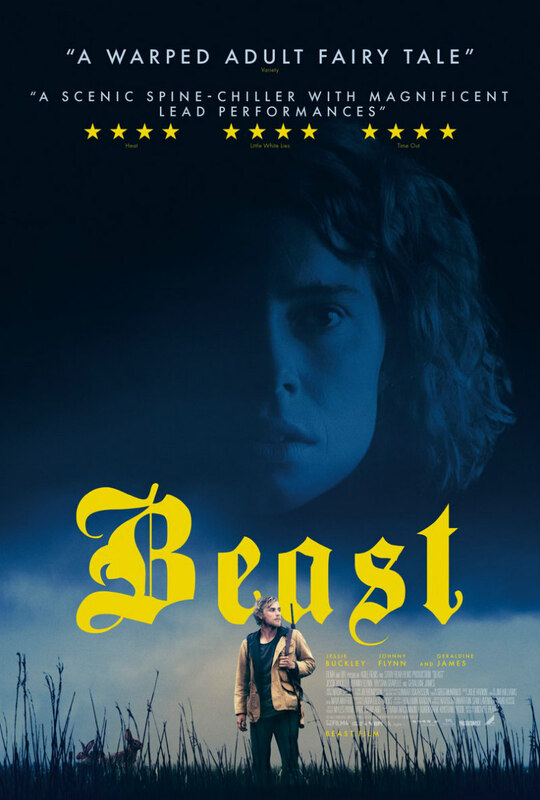 Beast engages in social commentary like only British cinema can, with the tension between Jersey's middle-class Anglo-Saxon implants and their Gallic neighbours adding an extra layer of tension to the narrative. An unwelcome guest at Moll's family dinner, Pascal reminds the snooty Hilary that he's a descendant of Norman nobility, adding that maybe her people should get off his land - he's joking, or is he? 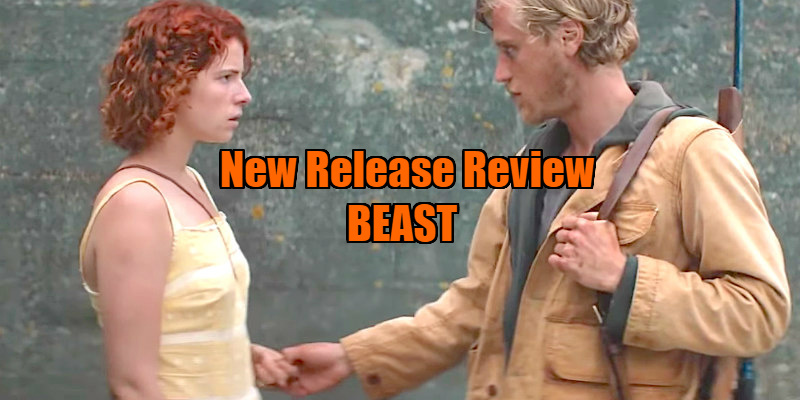 Like the great Australian New Wave movies of the '70s, Beast incorporates nature into its drama, and like those Antipodean movies, there's a sense that Jersey is a place where humans don't quite belong. As she becomes more and more entranced by Pascal, Moll seems to form a connection with the earth of the land, wiping clay on her mother's pristine couch after a night of rolling in the grass with her beau, hacking away at a putting green following an altercation at a classist country club and spending a night buried in dirt in the spot where a young murder victim's body was found. Buckley and Flynn make for an engaging central duo, their characters endearing enough to make us root for them, while unstable enough to keep us questioning their innocence. Pearce's plot twists continually pull the rug from under the social prejudices of both the bigots who populate his film's island and any liberal viewers in his audience, forcing us to constantly second guess the assumptions our viewpoints on certain social issues might lead us to make. For most of its running time, Beast deals in delicious ambiguity, but in its final 10 minutes it begins to provide answers to questions I would have preferred to leave the cinema still asking, and its climax feels transplanted from a more conventional but far less interesting thriller, complete with a final line of dialogue so clichéd I audibly groaned. Excise this final scene and Beast is one of the most gripping dramas of 2018, and one hell of a calling card for its first time director. Beast is in UK/ROI cinemas April 27th.